Indigo blue has been an iconic shade for hundreds of years but not until indigo garments were worn as uniform by artisans, workers and more recently massed youth has a colour been so associated with groups or human tribes. The uniformity of indigo blue once decreed by governments of China and Japan to render the worker faceless is now worn by affluent tribes of denim wearers. The 20th century saw indigo denim become the fabric and garment of rebellion against authority by the youth of the day. The tribal uniform was 5 pocket blue jeans proclaiming the wearer to be part of a freedom tribe. Today the blue tribe is more diverse. From the young wearer of the simple jean to the more affluent sporting higher and higher priced brands of indigo denim. Indigo blues as well as being diverse in shade are also diverse in wearer style from old western influence 5 pocket jeans and trucker jackets to mariner blues which nod to the indigo jeans of the sailors from Nimes. Whatever the influence it is the indigo blue shade that creates the recognisable tribe of wearers. From the uniform of Japanese and Chinese workers we come full circle to modern workstyle as a fashion statement - basic simple and blue. The garment is minimal in detail with blue being the galvanising feature. Rock 'n roll tribes synonymous with blue jeans exploded onto the scene with Woodstock in the late sixties. Both anonymity and rebellion were the motivators of the need to look uniform and carefree, the blue jean answered the need. 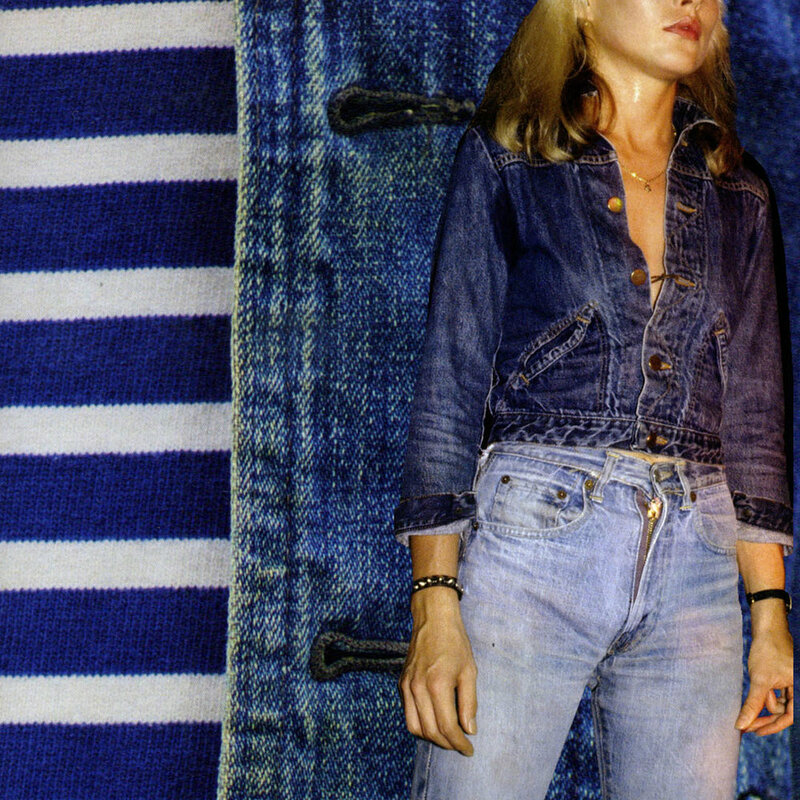 ©Marsh.G, Trynka.P (2002), DENIM from Cowboys to Catwalks, A visual history of the world's most legendary fabric. Rock bands and their tribes of followers are still in blue jeans - the colour blue is as key to anonymity and uniformity as is the denim jean. Even if the jeans were made from another blue cotton "with attitude" the tribe would still be cool.